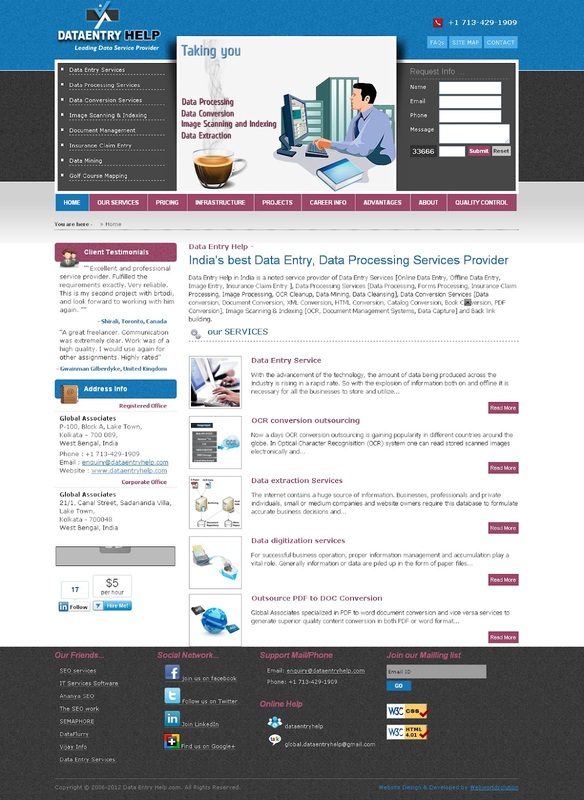 DataEntryhelp launched its new website layout whose look is like follows and upgraded its office infrastructure. 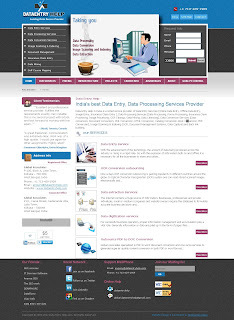 DataEntryHelp has a highly experienced team members of IT professionals who are well conversant with numerous technologies and methodologies. As soon as new invention of new technology for data entry service, our team members are ready to adoption this and implement to client’s live projects. We create solutions keeping your target consumer and audience in mind. Our current regular employee strength is 50+ all are highly educated and well conversant with English and ably supported by in-house technical support. We are having two offices in Kolkata one prominent location of India. Floor space is 2000 sq ft in each with all modern technology like Super Class Flooring, Glass doors & Wooden Partitions into reception, lobby, conference room (with projector), work stations, chambers of CEO & other executives and staff rooms (as per Vaastu), two bathrooms with modern fittings, False ceiling (Glazed Metallic & Gypsum Board) & Centrally Air-conditioned, Super Executive Class Furniture, sofa, upholstery & racks. We are equipped with 50 work stations at present with Windows and Linux servers the set up is supported by adequate numbers of Laser Jet, Desk Jet and Dot Matrix Printers, our scanning needs are well catered by sophisticated high speed, high resolution scanners. We are connected to the Internet through Dedicated Leased Line high speed Internet access with state of the art modems, routers etc. To ensure a very high level of security environment we constantly monitor, audit the activities of personnel. Our services can be matched to the top companies in the world in the related areas of operation. 24hrs power backup helps to deliver project before deadline without any breakup.